Join us for our second event on our Sip & See Series! Our first event was a hit and we have something equally wonderful lined up just for you. This time we will take a look at an exquisite example of adaptive re-use and take a look at what’s #trending in the revitalization of EaDo Houston! 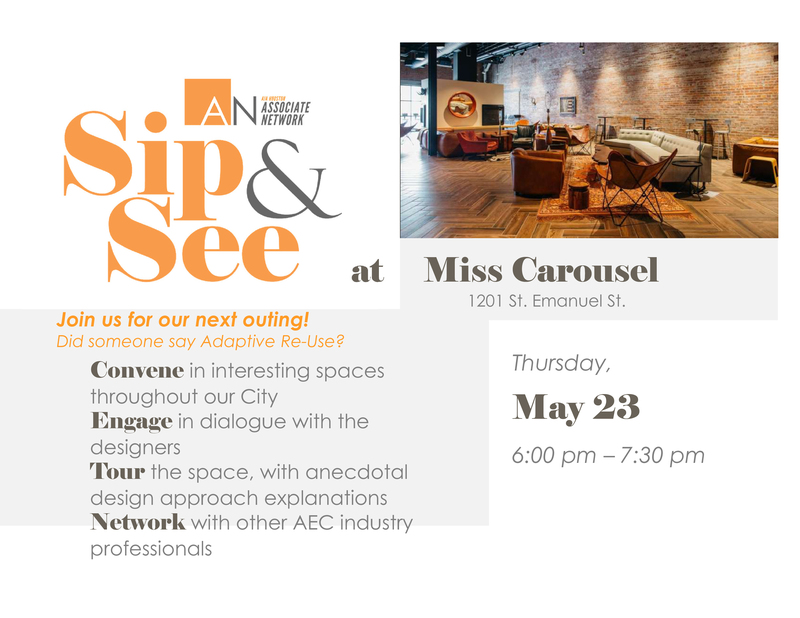 Meet us at Miss Carousel designed by PDR. Registration is free, but hurry…AISC will sponsor the first (2) wine or well drinks for the first 20 people that sign up.